The first thing a student needs to do is achieve good results in their Year 12 exams– these help inform universities about a student’s current attitude towards their learning far more than a personal statement or a reference from the school or even their GCSE results. They are also a guide for Sixth Form staff to produce predicted grades to guide university applications. Universities sometimes use these predicted results as the “first sieve” if they have a lot of applicants however many high-ranking universities now run their own internal screening examinations. 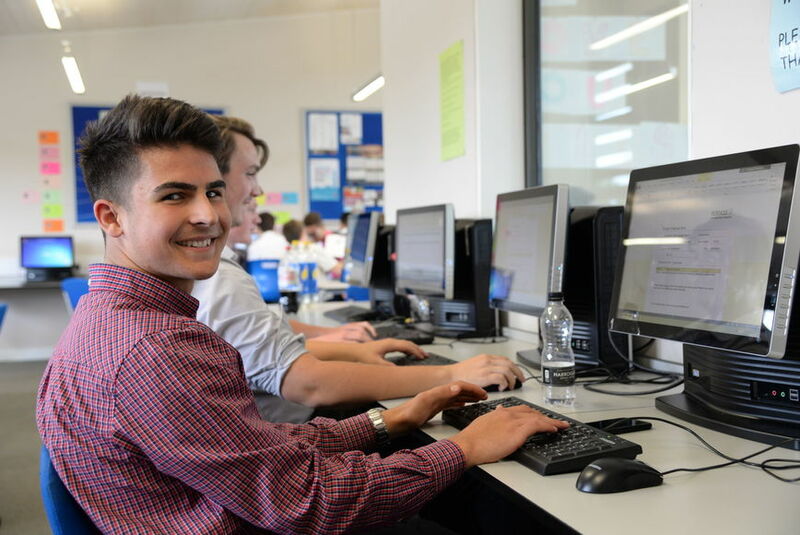 Chelmer Valley Sixth Form policy is for students to opt for linear A-levels, where examinations take place at the end of Year 13. University? Apprenticeship? Employment? Take a Gap Year? Some students will already have a clear idea about what they want to study. If you are applying for a “career” degree (e.g. medicine, veterinary, law, teaching) it is important to organise some relevant work experience before September (ideally during the summer holidays). Students will also get the opportunity to go on a week's Work Experience during a week in July at the end of Year 12. It would be beneficial to try to get involved in extracurricular or supercurricular activities in school e.g. paired reading, mentoring younger students, helping with House Competitions or help out of school. It may be directly relevant to your course, or at least allow you to demonstrate leadership qualities, good communication skills, responsibility and reliability etc. All these things can be mentioned in your personal statement and tutor’s reference. Ask for a careers interview. Speak to your teachers about what you are particularly good at in your subjects. Think about things that you enjoy doing. Make use of the course guides in the study room – you will be amazed at the range of different types of degree that are actually on offer. All Year 12 students visit the Higher Education Convention in June each year. Make sure you research courses properly – don’t pick courses just because you think they sound good. Visiting university departments can give you a good idea of things you might / might not enjoy studying. Universities have open days throughout the summer. You can check their individual websites for exact dates. Aim to visit at least 2 or 3 to get an idea of what it is actually like to be in different locations e.g. a university in a city or on a campus outside of town. In addition there are a huge number of taster sessions/ residentials that are now offered from many different institutions to help inform future plans. The Higher Education Convention in Year 12 may help you make some decisions as there are talks about studying different courses. Be realistic about what grades you can achieve when deciding which universities to apply to. There are an increasing number of Higher and Advanced Apprenticeships available. Below are the presentations from Chelmsford College and Inspiring the Future regarding these. Many companies are looking for good quality candidates with good A Level grades. In these presentations, there is helpful contact information about how to find one of these. Some students choose to defer their entry by a year. You should still apply during Year 13, even if you don’t plan to start until September 2018.